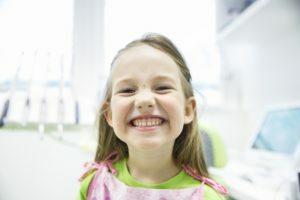 When you drink your morning cup of coffee or bite into an ice cream cone, do you find yourself experiencing a sudden pain in your teeth? You could be dealing with tooth sensitivity. This is a common issue for many adults. Although it may seem like you have no choice but to live with the discomfort, you do have options. Your Arlington dentist will get to the root of the problem to provide you with the relief you need. Brushing Isn’t Enough. Visit Your Arlington Dentist Today! You know that the secret to a healthy smile relies on your home oral hygiene habits. 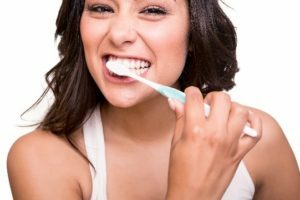 To protect the health of your teeth and gums, it is best to brush at least twice a day using a soft-bristled toothbrush and a fluoride toothpaste for at least 2 minutes each session. In addition, you also need to floss every night before going to bed. While you may think that this is enough to keep your smile healthy, it is not. You also need to see your Arlington dentist twice a year for a cleaning and checkup. Comments Off on Brushing Isn’t Enough. Visit Your Arlington Dentist Today! Choosing a tube of toothpaste can be daunting! Most stores carry an entire wall of choices for you to browse. Should you use a paste or gel? Is tartar control or fluoride better? Do whitening toothpastes actually work? 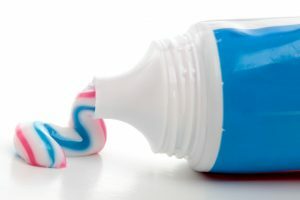 Your Arlington dentist is going to try to take away a little of the guesswork by explaining the different types of toothpaste available so you can make an educated decision about which toothpaste to use.